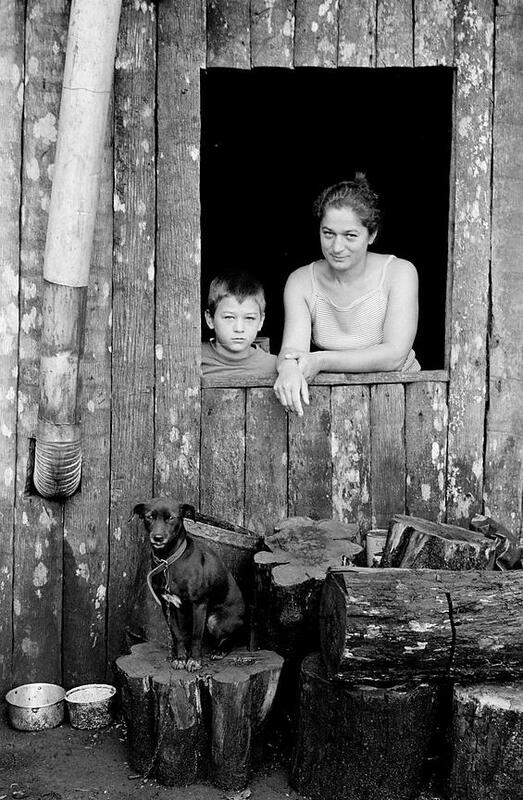 A mother, her son and their dog, pose in their shack in the Movimentodos Trabalhadores Rurais Sem Terra camp, near Iguacu, Brazil. The MST carries out land reform in a country mired by unjust land distribution. In Brazil, a tiny proportion of landowners control roughly half of agricultural land: just 3% of the population owns two-thirds of all arable lands. Since 1985, the MST have occupied unused land where they have established cooperative farms, houses, schools and clinics.